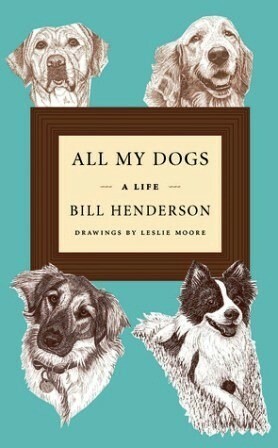 In 2011, I illustrated All My Dogs: A Life by Bill Henderson, founder, editor, and publisher of the annual Pushcart Prize: Best of the Small Presses, now in its thirty-fifth year. Ours was a serendipitous collaboration between two life-long dog lovers, and I am forever grateful to Bill for seeking me out and trusting me to draw his beloved dogs, some from photos, but most from his descriptions. Bill published four other memoirs before this one, but I’m convinced that All My Dogs is his best.